Lessons from Steve Jobs – CHUBIBO! Steve Jobs was the greatest marketer ever. Here are 10 marketing lessons you can learn from him. Jobs may have been a genius, but he was also smart enough to find people he could learn from. One of his first tutors was Regis McKenna, a legendary Silicon Valley marketer. 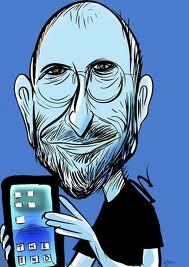 Jobs sought him out even while Apple was still just a two-man operation in a garage. McKenna helped Jobs bring on Mike Markkula as Apple’s first angel investor and marketing guru. Markkula was an engineer by training but had worked in marketing at Intel. He joined Apple as an employee (for a time he was CEO) and created a set of founding marketing principles to which Apple still adheres today, 35 years later. Later, Jobs befriended advertising expert Lee Clow of TBWA\Chiat\Day, who created Apple’s famous 1984 commercial and “Think Different” campaign. Clow became a lifelong advisor and friend to Jobs. Lesson: No matter how good you are, learn how to spot people who know more than you do, and then listen to them. 2) Make a great product. What Steve did that few marketers understand is that he first created a great product. It’s hard to market crap. Most marketers take whatever crap is thrown at them and put lipstick on the pig. Steve’s ‘secret’ was to control the product and the marketing, not just the marketing. When The Apple Computer Company launched in 1977, Jobs and Markkula outlined three core company principles. First, Apple would empathize with customers. Second, Apple would focus on doing a few things really well. Third, Apple would impute its values (simplicity, high quality) across everything it did — not just within the products themselves, but also through the packaging of products, the look of its stores, and even the way Apple created press releases. Jobs did a remarkable thing at Apple by insisting on a consistency of design and taste across everything Apple did. Think that’s easy? Look at your company’s website. Do all the sections look like they were made by the same invisible hand? Or does the site look like a digital Frankenstein monster, with different sections cobbled together that all bear the look and feel of whoever happened to make those pages when that part of the site was built? And even if your website looks consistent, does it mesh with your press releases? With your storefront? Your trucks? Your product packaging? That unity is exactly what Jobs pulled off. Jobs was a natural showman and a fan of big gestures. One great example was the 1984commercial for the new Macintosh. As always, Jobs decided to go big. He hired Ridley Scott, the director of Alien and Blade Runner, and spent $900,000 making the 60-second spot and $800,000 to run it one time during the Super Bowl. (That $1.7 million spend would be $3.4 million today.) This was a huge risk for the company, especially since it wasn’t clear that the ad would succeed. In fact, Apple’s board hated the ad so much they didn’t want to run it at all. But the big bet paid off. The ad generated as much coverage as the Macintosh itself. Apple described the 1984 commercial as a form of “event marketing,” meaning a campaign where the promotion itself is so revolutionary or unique that it gets covered as an event in its own right. Soon after the 1984 commercial, Jobs pulled something similar when he spent $2.5 million to buy the entire 40-page advertising hole in an edition of Newsweek. 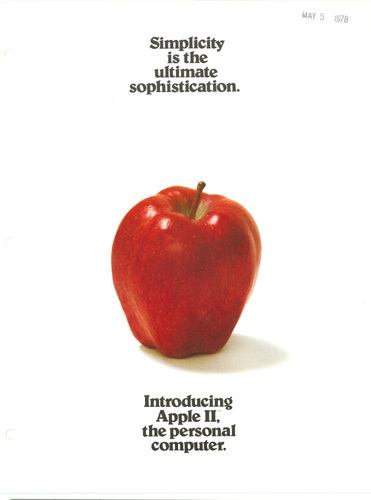 Other examples of event marketing were the “Think Different” and “I’m a Mac” campaigns. Yet another: every keynote Jobs ever did, with fans lining up overnight as if they were going to a Beatles reunion. 6) Keep secrets and build mystery. The reason people lined up at Apple events, aside from Jobs’ rock-star charisma, was that he was a master of suspense and surprise, and there was always the hope that he might unveil something amazing. Months before a big product launch, Apple would start leaking information. First a hint, then a rumor, then other rumors that contradicted the first rumor. Most of it was misinformation, but it drove people into a frenzy of speculation. By the time Jobs got up and showed off the iPhone, the world had been buzzing about it for a year, with people passing around photos of supposed prototypes and designers creating their own imaginary versions of what an Apple phone might look like. Jobs was also famous for his “One more thing” gesture, where, just when you thought a press conference was over, he’d say, “Oh, one more thing,” and then pull out something that blew everyone away. The lesson: Most marketers rush out to tell everyone as much as they can about their product. Jobs did the opposite — he held back information to get people excited. The first rule of storytelling is that drama requires conflict. And the first rule of propaganda is that you need to have a bad guy. For Apple the original bad guy was IBM. Then the boogeyman became Microsoft. More recently, Jobs made Google and its Android operating system the villain. In each case, Jobs’ message was the same: The bad guy wants to take over the world and destroy it, and we are the noble underdog that can keep this from happening. A lot of marketers shy away from this kind of rhetoric. They’re afraid it will rebound and hurt them. They act, very often, like needy children who want very much to be loved by everyone. To be sure, it’s definitely risky to create an enemy, especially if you choose an enemy that’s big and powerful. But Jobs believed that to sell product you had to first lead a movement. If you’re going to have a revolution, you need to have something or someone to rebel against. 8) Turn customers into evangelists. Possibly the biggest thing Jobs did was turn customers into passionate advocates for the Apple brand. Those people who line up outside Apple stores every time there’s a new iPhone? Even when it’s just an incremental improvement on the last iPhone? They’re not there for the phone. They’ve come to show their support for the team, the way sports fans show up hours before a game wearing the team colors. Apple fans don’t think of themselves as customers. They feel as if they’re part of a movement, a mission, something larger than themselves. 9) Don’t talk about products. The 1984 commercial contains not a single image of the Macintosh. There’s a mention of Apple and the Macintosh in the last 10 seconds. Same for “Think Different,” where the ads weren’t about products but rather the kind of people who would use the products. In the “I’m a Mac” campaign Jobs removed the computers and replaced them with people — two characters who serve as proxies for two different kinds of computers. Or consider the ad just below here, which you’ll note doesn’t contain a picture of a computer. 10) Use pictures, not words. The ad above contains 10 words. Even today, on its website and in its advertising, Apple devotes tremendous effort to saying things in as few words as possible. Partly that’s aligning with the core value of simplicity at Apple. But it’s also because Jobs realized that images are much more powerful storytellers. One example of this was the introduction of the MacBook Air, where Jobs came out on stage with a manila envelope and slid the slim laptop out of it. That one simple gesture blew people away and said more about the product than thousands of words could. That may be the ultimate lesson about Steve Jobs — that a great deal of his success came from the fact that he was willing to take more time and work a little harder than most of us mere mortals. Next postKapakanan ng eroplano – inuna?